We specialize in Custom Residential Home Design. Our projects are very specific to the needs, desires, and budgets of our clients. Contact us today! Rice Architect LLC is South Carolina's expert custom residential design firm. Our design style continues to seek unique aesthetic solutions that reflect our clients tastes and objectives. With over 20 years in the residential construction industry, owner Scott Brekke has developed a highly sought after skill set in both home design and building processes. Kenneth Miller Architecture is a dedicated and quality conscience planning and architectural company that specializes in custom design, high end finishes on residential and light commercial projects. We are a full-service drafting and design firm with over 15 years of experience. Our goal is to provide quality design services, delivered professionally and with integrity. If you are considering a new home, a custom home, an addition or renovation, we have the talent, experience and creativity to produce the custom home floor plan design that will meet all your needs. Architrave is an established design oriented architecture practice with over twenty five years of experience throughout South Carolina. Architrave prides itself on its ability to integrate traditional and historic Carolina styles with modern sensibilities and smart design. Architrave specializes in custom home design, residential renovations, custom church, religious design, and historical preservation. Architrave establishes a relationship with each client and develops personalized design solutions to match each client’s particular needs, desires, and dreams. 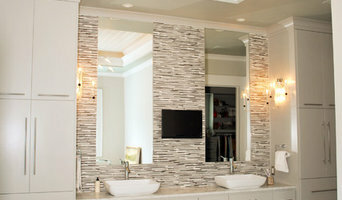 Architrave is a small firm of talented and dedicated design professionals who love what they do. Clients work directly with a principal and the design team throughout the project. Our website provides a representation of our work. We hope you enjoyed viewing our past projects and look forward to creating your own personalized design solution. Residential Design Firm specializing in custom house plans. It is my goal with each design to make it exactly what you want and unlike all the other houses around. Visualize. Design. Realize. Martin has been the Lead Designer and Project Architect on a number of new custom homes and residential renovations/ additions along the coastal islands of the Charleston regional area. 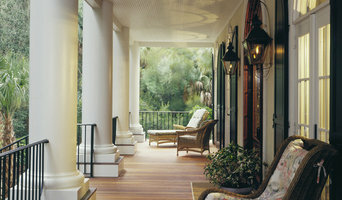 Dolphin Architects and Builders has established a reputation of building excellence and integrity in the Charleston area. Our team works hand in hand to turn your dream home into a reality. Through our work, we seek to enhance the quality of life in our communities through solutions that embrace and respect the natural environment, while embodying strategies for sustainability. We listen & identify. We prioritize based on your unique preferences. We design solutions that represent your functional needs & represent your unique style. Expect enhanced personal attention! Specializing in waterfront, historical and southern cottage style homes, Bob Chatham is a second generation residential designer that has been designing custom homes for over 25 years. How do I find the best Seabrook Island architect for my home design project? It is best to hire a home architect who will be involved in all phases of the design process, from the initial concept to the completed construction. The architect is often the first person you will hire for your project. If necessary, they might also help you select and hire South Carolina subcontractors, which can include the builders, engineers and landscaper. Interior architects are also involved in negotiating contracts for all involved participants. It is for these reasons that it is extremely important for you to have a good relationship with the Seabrook Island residential architect you hire. He or she can be the tie-breaking vote between you and the general contractor and can be your biggest advocate during the construction process. Different architecture firms in Seabrook Island, SC provide different services, so the scope of the work can span from pre-design environmental impact studies to selecting furniture and finishes, depending on what your specific needs are. It is very important to hire the right professional for the job. Remember that the most well-known or established designer might not provide the best architectural services for your needs. It all comes down to the individual project. Research and ask people whose work you like for recommendations. It's important to have somewhat of an idea of the style of house architecture that you prefer, as well as the amount you would like to spend. Residential architects in Seabrook Island, SC are natural problem solvers. They will assess the entire situation and help you to solve your problems too. Don't settle for a single company too early. Call and interview a few. Make sure that you feel like your personalities will mesh well and that you like their professional perspective. Find a home architect in Seabrook Island, SC on Houzz. Narrow your search in the Professionals section of the website to Seabrook Island architects. You may also look through photos of South Carolina projects to find interior architects and building designers who have worked on a project similar to yours.